CM Punk says there is nothing left for him to do in pro wrestling. The former WWE Superstar called in to Ariel Helwani’s MMA Show on Monday afternoon to discuss his future with UFC. Of course, the topic of pro wrestling came up. Once again, Punk essentially closed the door on the possibility of him stepping inside the ring again. Punk returning to pro wrestling would be a huge deal for whichever company was able to sign him. He’s clearly done with WWE, but he could be a game changer for Ring of Honor or New Japan Pro Wrestling, as they look to expand their presence in the Untied States. Unfortunately, Punk says wrestling for New Japan does not interest him. There had been reports that CM Punk was offered the opportunity to appear at All In earlier this month. Punk even held an autograph signing at One Hour Tees in Chicago that weekend, which fueled speculation that he might appear. Despite fans getting hopeful, Punk says it was never going to happen. In fact, Punk revealed he never received a formal offer to appear. After losing his first two professional MMA fights, UFC President Dana White has said it’s unlikely the promotion would offer Punk the chance to fight for them again. Punk is not discouraged and is open to competing elsewhere if necessary. He has given himself until the end of the year to decide about whether or not to take another professional MMA fight. 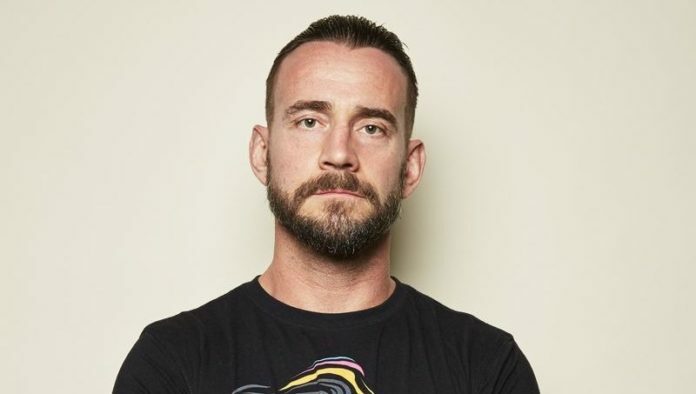 CM Punk is currently a host on the Netflix reality competition series, Ultimate Beastmaster. He and wife (former WWE Superstar AJ Lee) will appear together in the upcoming horror film Rabid.